Pro Pacific DKI provides complete restoration and damage repair services to Vancouver Island from Comox south to Victoria, BC. Trust our expert technicians to help you minimize loss and recover from any disaster, at any time. Pro Pacific DKI's disaster cleanup services provide restoration and recovery from damage caused by fires, high winds and storms, flooding, mould and asbestos remediation, and more. No matter the challenge, or how intense or overwhelming your situation is, our team is on-call, ready to rebuild. In addition to “framing to floor covering” structural repair and restoration, we also offer complete packing, cleaning, and restoring solutions for your contents. This means your fire-damaged or flood-damaged belongings can be saved when you quickly summon Pro Pacific DKI. And thanks to our 24/7 emergency assistance, we can start restoring your property before it’s too late. Whether you are suffering from property damage or property loss, Pro Pacific DKI will be with you every step of the way. We've built our name around highly trained, experienced members of the restoration industry. Our professional, courteous technicians will ease you through the process of returning your property to pristine condition. From the initial assessment until we return the contents into the restored site, our team will work to ensure the job is done with efficiency and care. We encourage you to read our testimonials page to hear what our past clients – including homeowners, insurance companies, and corporate clients – have to say about us. Thanks to these proven methods to restore your property and belongings, we're able to provide our clients with efficient, effective results. If you or your clients have suffered the effects of a fire, flooding, vandalism or simply need a building restored, contact Pro Pacific DKI for help: we are passionate about making a difference. Pro Pacific DKI provides expert restoration services to all of Central and South Vancouver Island. Our restoration service territory stretches from Comox south through to Victoria and surrounding communities. This includes Courtenay, Qualicum, Parksville, Port Alberni, Tofino, Ucluelet, Nanoose Bay, Nanaimo, Gabriola Island, Ladysmith, Cobble Hill, Cowichan Bay, Duncan, Victoria, the Southern Gulf Islands, and more. 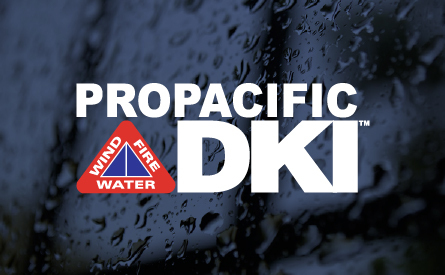 Pro Pacific DKI has been helping families and property owners rebuild, reconstruct, and restore for decades. Our goal is to provide superior service while maintaining the highest standards of safety and efficiency. We restore property – and people's sanity – with minimal disruption. We have always been determined to grow our team and continuously improve customer service, all while keeping the business small enough to manage effectively. If you would like to be a part of a passionate company that employs a great crew with big hearts and strong work ethics, we’d love to have you on our team. Get in touch with our HR department today. 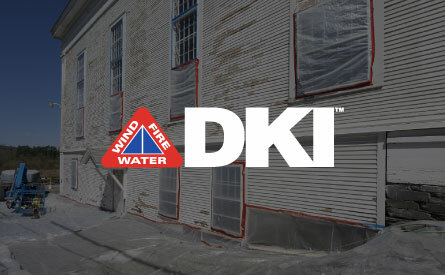 Pro Pacific DKI is a proud member of DKI, an international trade organization built up of companies within the restoration and reconstruction industry. DKI is a group of like-minded professionals who work together to pool resources and share knowledge. And just like Pro Pacific DKI, all of the member companies are locally owned, locally run, and not part of a franchise. As DKI member we have access to a huge resource network. This allows us to stay rooted in the Vancouver Island community, stimulating our local economy and creating stable jobs, while at the same time providing our clients with a national level of service and support.